Hi Peter, the fresh spectrum from Italy (luckily clear sky here). 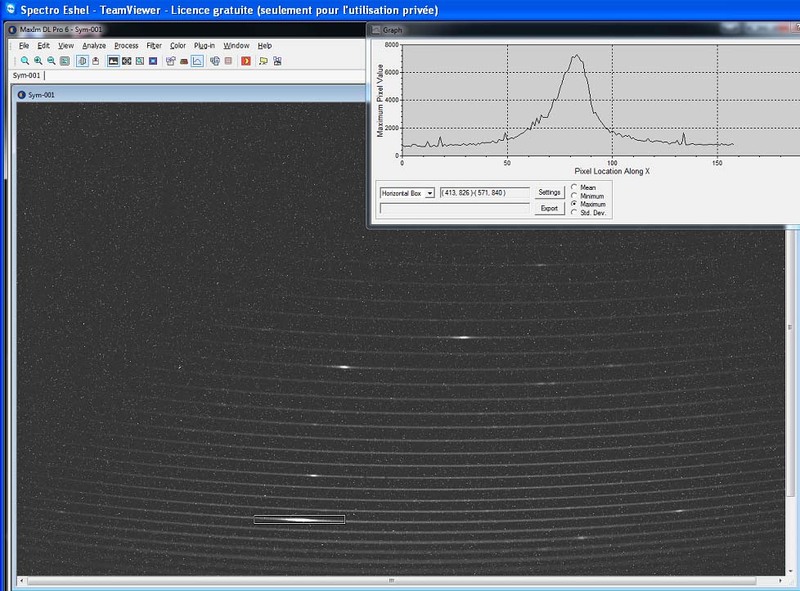 Flux calibrated with mean V mag (10.73) during the observation. Hydrogen and helium emission lines. Looks like a kind of symbiotic outburst. A fresh Vmag is 10.85V (observer: Tamas Tordai) so it may have stopped. This is fantastic! Congratulations Paolo !!!! Of course, coverage of the event is strongly recommended. 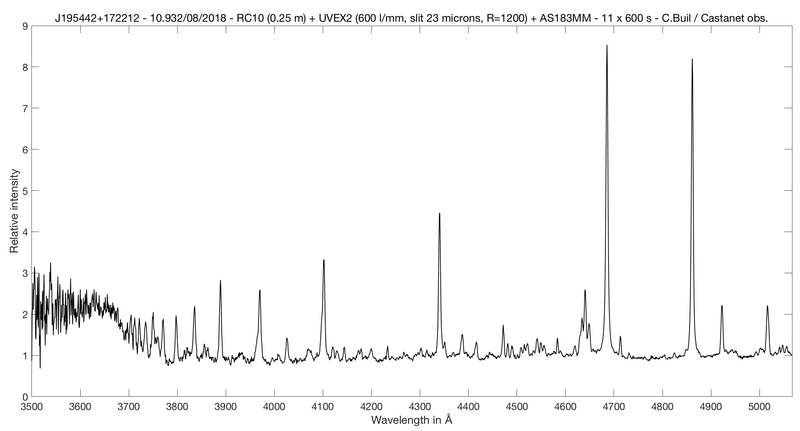 High resolution and Echelle spectra are expected. I found this star in outburst during our "Vendégcsillag-kereső" (Gust Star Hunter) nova patrol programme. 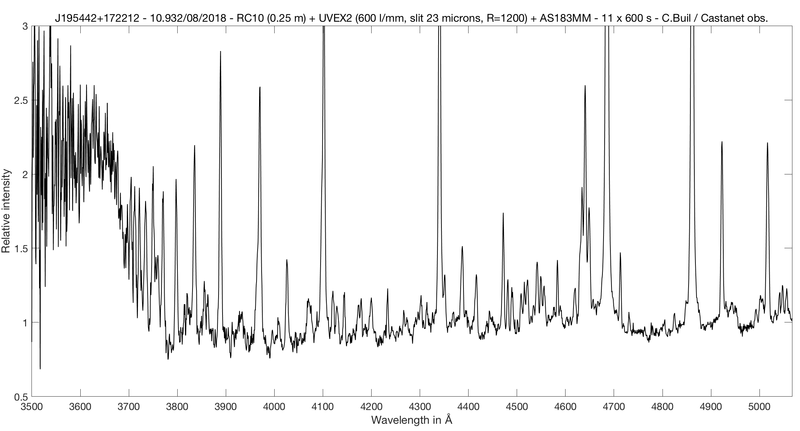 There was a sudden brightening in a few days - in contradiction of the original semiregular variable (SR) classification based on archives ASAS-SN photometry. So this was originally classified as SR variable - not a Mira. It's realy exciting to catch a new symbiotic variable in it's firts know outburst. Thank you for your fast reactions! Weather is good and I'm now on this target with eShel spectrograph. Infos up to 3500 A (note the UV jump). Yesterday I observed h-alpha line with 2400 l/mm grating (suggested by U. Munari).